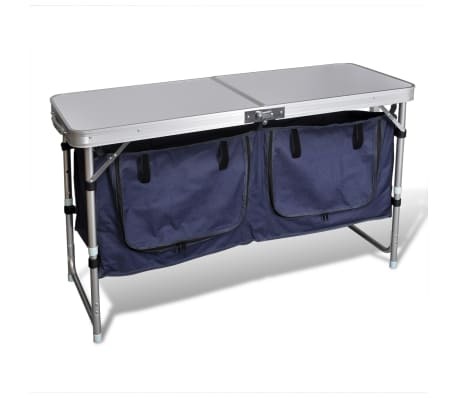 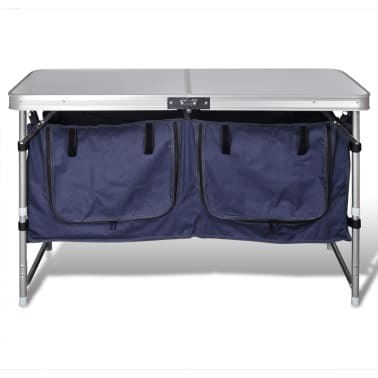 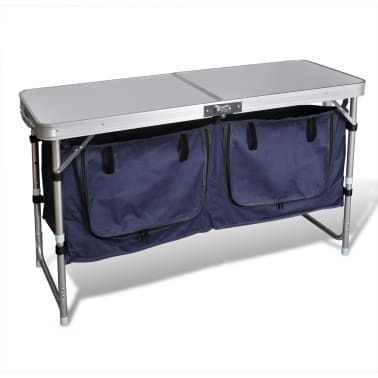 This foldable camping cupboard features a wide work surface and 2 storage compartments. It is perfect for outdoor use. It has a wide work surface and 2 storage compartments, which provides you enough room so that you can have everything you need within reach. The zippered door of the cupboard can be rolled up and down easily, which protects your ingredients or kitchen ware from dirt. 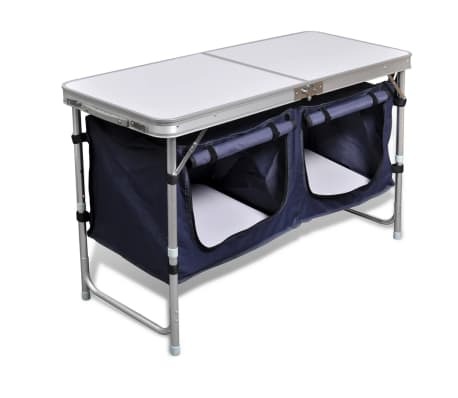 The camping cupboard is light in weight. 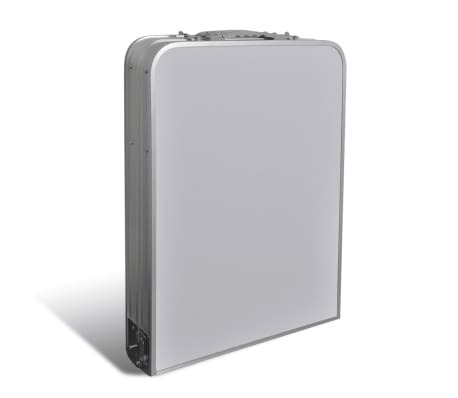 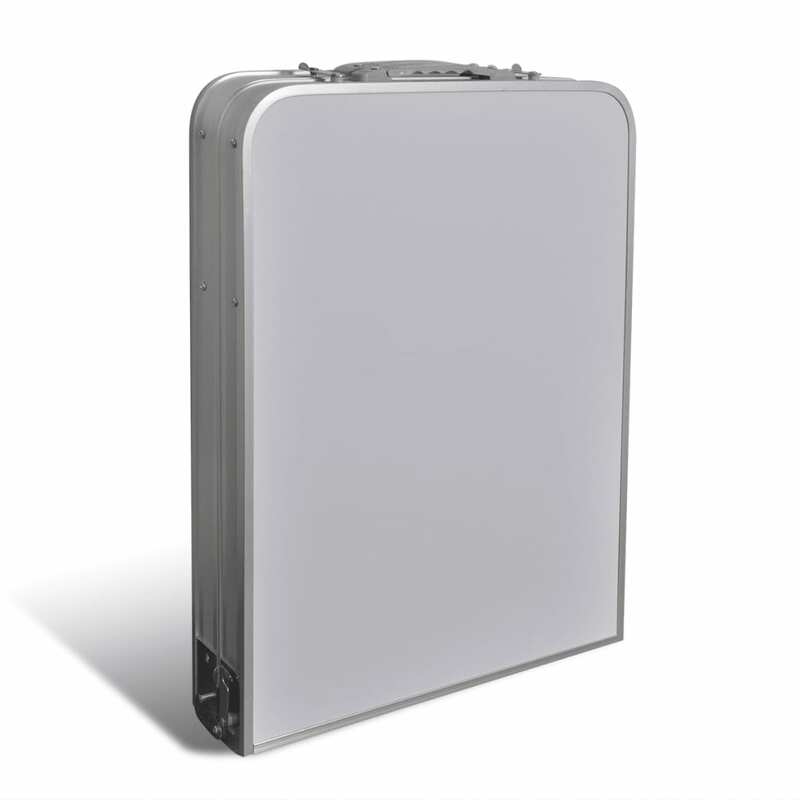 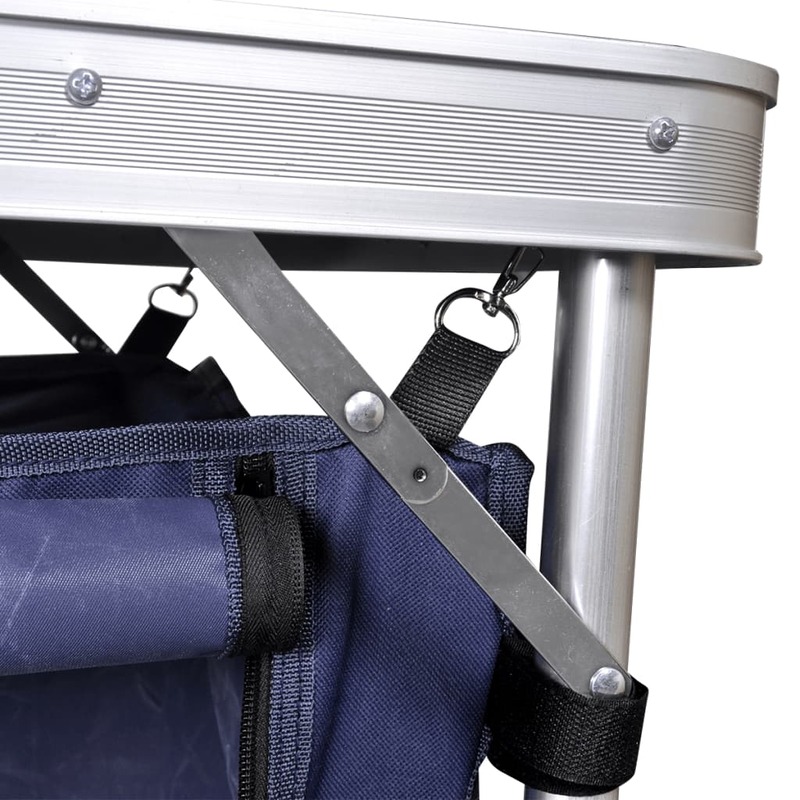 Thanks to the folding design, it is easy to transport and can be stored away quickly when not in use. 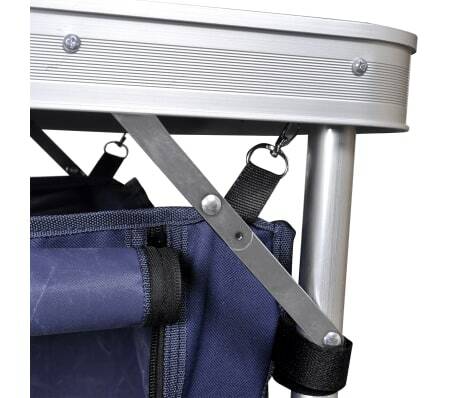 The carrying handle makes it very easy to bring the cupboard with you when going out to have a picnic or camping trip. 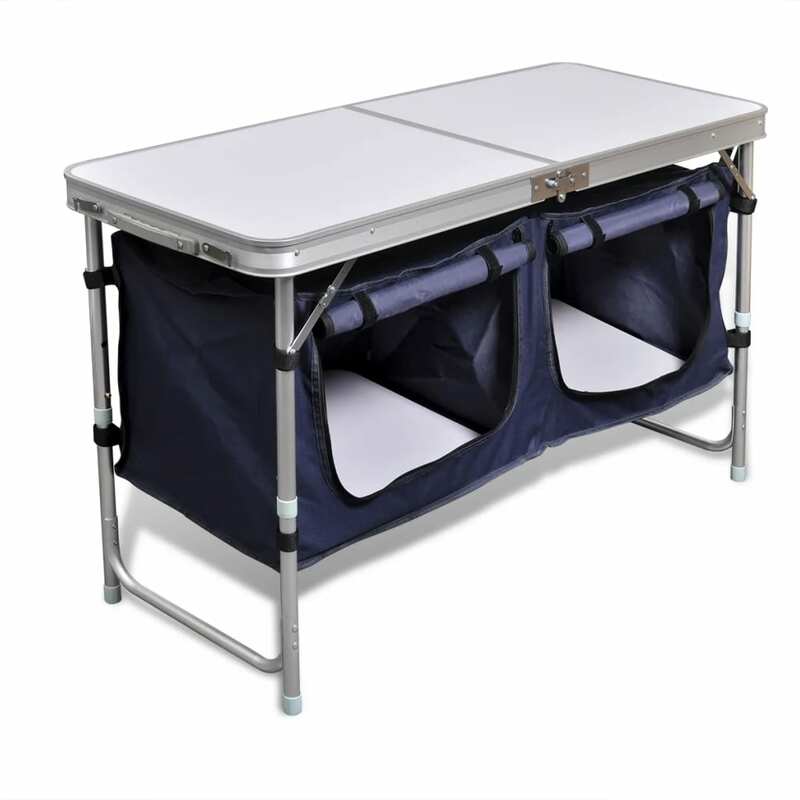 Thanks to the sturdy structure, this camping cupboard has a high load capacity up to 30 - 50 kg. Thanks to the metal frame, the robust MDF tabletop and the high-quality 600D oxford fabric, it is highly stable and durable. 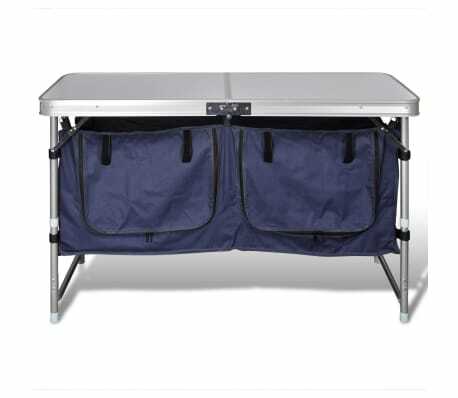 And the PVC coating also ensures the camping cupboard a long service life.